It is evident upon first glance that the Dalal Collection was designed with your comfort in mind. Dark brown bi-cast vinyl covers this set. The fully extended chaise, allows for instant relaxation while the push back recliner, gently eases you into a prone position. 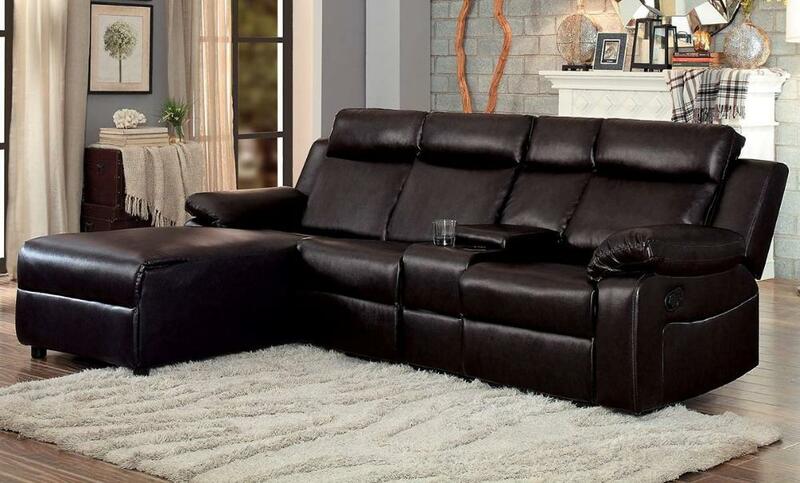 FEATURES: Dark Brown Color ~ Contemporary Style ~ Bi-Cast Vinyl Cover ~ Sofa with Center Console / End Push-Back Recliner.